Learn how the music and video technology industry operates behind the scenes, and get career advice directly from industry professionals. In six 50-minute video sessions, meet over fifteen mentors who share their experiences of working at Pandora, LANDR, Sonos, Native Instruments, and more. Access to exclusive product case studies will allow you to develop the tools for a smoother transition into this industry, giving you a look into the day-to-day life of various roles - from marketing to engineering. Plus, engage renowned music tech industry experts and entrepreneurs in online AMA’s and one-on-one office hours. Continue learning with Real Industry mentors through the online course Careers in Media Technology. We listen to our music with high quality headphones and speakers, and enjoy room to room wireless audio and Bluetooth syncing among our devices. We plug-in our guitars to a stomp box and guitar amp, or use a MIDI keyboard to play some synth parts and record a vocal line with a microphone into an audio interface on our laptop. Or some of us have the privilege of working on an 80-fader mixing console. This is all enabled by hardware engineers. From the analog circuit design, to the power amplifiers, designing customer chips, industrial design, manufacturing millions of units, and wireless synchronization. In audio and music, their work makes music more visceral - creative, tactile, and sounding amazing. The world's greatest product do not sell themselves - and I’ve seen firsthand how product launches can make or break years of R&D. Marketing is about connecting to the customer - identifying who they are, what their needs and motivations are, how and where to deliver them, how to price them, and how to promote the products. Why should they care about your product? How do you keep them engaged in your community, happy with your product, and purchasing future products? 7. How Many Customers Are Out There? 10. Branding: Why is Branding Important? This session explores the teams and technology behind leading algorithms and advanced technologies. We look at how the R&D is developed, prioritized, and implemented - and the technical and interpersonal skills these engineers use to succeed. We’ll look at Pandora’s music recommendation algorithm, audio signal processing algorithms from iZotope, and the audio fingerprinting algorithms that allow our mobile devices to recognize songs in 3 seconds or less! We’ll talk about how the R&D engineers might often get a lot of the credit, but the core algorithm might only be 5% of the total work developed! 5. What is Machine Learning? 8. What is Music Recommendation? 12. Can a Non-Coder Get Into the Industry? This session goes behind the scenes of the design of consumer electronics headphones and hardware interfaces. We do an in-depth case study on the creation of SOL REPUBLIC's Shadow wireless, bluetooth headphones. 2. What is Product Design? 11. What's Cool About Shadow? Learn about the contracts that all employees sign, including the impact of NDAs, non-compete agreements, invention assignment agreements, and prior invention agreements. Explore the world of patents and trademarks. 7. What is a Patent? 17. Do You Have Advice On Work Samples to Send? Understanding of the goals, responsibilities, and daily lives of marketing and communications teams, hardware engineers, research & development engineers, software engineers, and industrial designers. Understanding of how teams collaborate to conceive, design, and commercialize new software and hardware products. Understanding of the hiring process at top music and video technology companies. 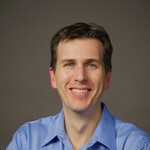 Jay LeBoeuf is technology executive, educator, and entrepreneur in the media technology industry. Jay is the Founder and Executive Director of Real Industry - a nonprofit transforming how students learn about the tech industry and how products go from idea through commercialization. LeBoeuf lectures on music technology and music business at Stanford University’s Center for Computer Research in Music and Acoustics (CCRMA) and is on the Board of Advisors for music startups Chromatik and Humtap. LeBoeuf led research & development, intellectual property, and technology strategy as Strategic Technology Director at iZotope. Jay founded and was CEO of intelligent audio technology company Imagine Research, which was acquired by iZotope in March 2012. While creating a "Google for Sound", Jay was recognized as a Bloomberg Businessweek Innovator, awarded $1.1M in Small Business Innovation Research grants by the U.S. National Science Foundation, and interviewed on BBC World, Science 360, and other major media outlets. Prior to founding Imagine Research, LeBoeuf was an engineer and researcher in the Advanced Technology Group at Digidesign (Avid Technology) in charge of innovations for the industry-standard Pro Tools platform. This course is intended for all learners considering full-time positions or internships in the music & video technology industry. No prior engineering background required!